The Performing Arts Committee of the Kiwanis Club of Pullman launched its first drive for all types of “gently used” musical instruments—except pianos and organs—in August 2014. The drive is run in conjunction with Stuff the Bus school supplies drive. How can you help this effort to give more young people the chance to learn and perform music in our school programs? Do you have an instrument no longer being played? Plan to donate it during Stuff the Bus at the yellow bus at Dissmore’s or contact the Kiwanis Performing Arts Committee to donate it at any time. See contact details below below. Donate tax-deductible funds for refurbishing instruments to the Kiwanis Performing Arts Fund of the Pullman Education Foundation. Contact the Pullman Kiwanis or Ted Weatherly, committee chair. We look forward to your donations. Thank you! A total of 15 gently used instruments was donated to the Gently Used Instruments Drive organized by the Kiwanis Club of Pullman in August 2018. Included were one each of the following instruments, or more if noted: Cello, Clarinet, Guitar, Saxophones (2), Violas (2) and Violins (8). This brings the total of instruments donated since the start of this effort to 69. Ted Weatherly, Kiwanis Performing Arts Committee chair, says more young people will be able to perform in school music ensembles this year, thanks to these many generous contributions of musical instruments. Gently used instruments can be donated at any time. A total of 8 gently used instruments was donated to the Gently Used Instruments Drive organized by the Kiwanis Club of Pullman in August 2017. 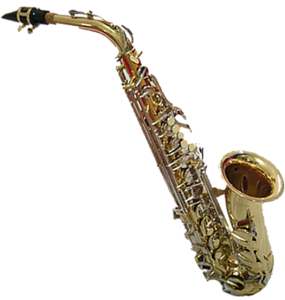 Included were one each of the following instruments, or more if noted: Saxophone (2), Antigua Winds; Trumpet, “Zephyr” case; Clarinet, Evette; Violin, Becke; Youth Drum Set; Small guitar; and Snare Drum. This brings the total of instruments donated since the start of this effort to 54. Thanks to these many generous contributions, more young people will be able to perform in school music ensembles this year, according to Ted Weatherly, Kiwanis Performing Arts Committee chair. A total of 14 gently used instruments was donated to the Gently Used Instruments Drive organized by the Kiwanis Club of Pullman in August 2016. Included were 2 trombones, 1 saxophone, 1 trumpet, 4 violins, 1 cello, 1 guitar, 1 clarinet, 1 set of cymbals, 1 drum set and 1 xylophone. Many more young people will be able to perform in school music ensembles this year, thanks to these generous contributions, according to Ted Weatherly, Kiwanis Performing Arts Committee chair. Kiwanis funds refurbishing instruments if needed so they are ready for our community’s youth. The drive was run in conjunction with this year’s Stuff the Bus school supplies drive. Helping kids is the goal of Kiwanis, in Pullman and worldwide. A total of 12 gently used instruments was donated directly to the Used Instruments Drive organized by the Kiwanis Club of Pullman in August 2015 in conjunction with this year’s Stuff the Bus. Included were 4 flutes, 2 saxophones, 1 euphonium, 1 cello, 2 violins, 1 guitar and 1 drumset. In addition, the Pullman Education Foundation, a partner, encouraged people to donate used instruments and a number were donated directly to Lincoln Middle School. Thanks to these generous contributions, many more young people will be able to perform in school music ensembles this year, according to Ted Weatherly, Kiwanis Performing Arts Committee chair. We are happy to report that more than 20 instruments of various kinds were donated in 2014. The drive will be held again with this year’s Stuff the Bus on August 13-15, 2015, and beyond. The drive was held in concert with the Pullman Public School music teachers and the Pullman Education Foundation. Teachers Katherine and Joe Covill assessed the instruments and were able to immediately use all but seven instruments with their students. Of those, five required repair and two were beyond repair, according to Ted Weatherly, Performing Arts Committee chair. The Covills advised that they had young students already awaiting instruments and the ones donated helped fulfil their needs. Katherine Covill mentioned that a small donated cello specifically met the immediate needs of a particular student. The five instruments were repaired, thanks to the monetary donation of the Kiwanis Performing Arts Committee, individual Kiwanians who graciously donated money, and a donation from Atom Heart Music. Atom Heart Music also coordinated the repair efforts.